The show follows secret agent Angus MacGyver, played by Richard Dean Anderson, who works as a troubleshooter for the fictional Phoenix Foundation in Los Angeles and as an agent for a fictional United States government agency, the Department of External Services (DXS). 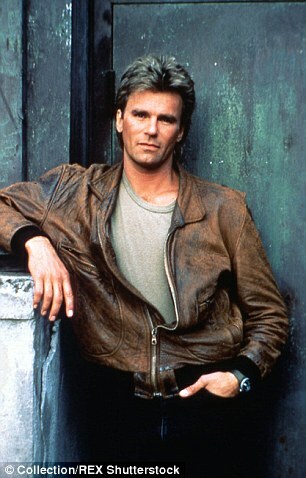 Educated as a scientist, MacGyver served as a Bomb Team Technician/EOD during the Vietnam War ("Countdown"). Resourceful and possessed of an encyclopedic knowledge of the physical sciences, he solves complex problems by making things out of ordinary objects, along with his ever-present Swiss Army knife. He favors non-violent resolutions and prefers not to handle a gun. The series was a moderate ratings success and gained a loyal following. It was popular in the United States and around the world. Two television movies, MacGyver: Lost Treasure of Atlantis and MacGyver: Trail to Doomsday, aired on ABC in 1994. Back when the series was on out here I was busy raising kids, the shows timeslot just didn't suit me at the time. Now its been downgraded to PG with a nice 7:30 pm airing for us old folks I am enjoying the show immensely. A little corny and cliched, but I think that is what had the show draw so many fans and still does today. The original and definitely the best. I grew up watching MacGyver. It probably is cheesy now but I still love it! RDA put a new spin on 'Mac' and Cheese. Pardon the pun. I have super fond memories of his show and I loved RDA as a kid and he was one of the reasons I was excited for SG-1. I'm still watching it If I had seen it when I was a kid, I think I would have loved SG1 even more than I do now.